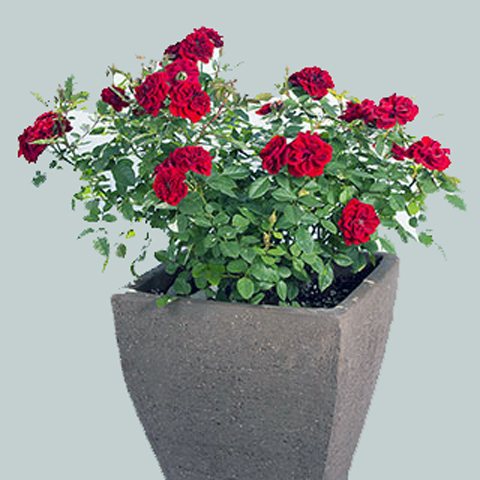 This group of roses are usually container grown although they can be grown in the border. They generally grow up to 300mm high (1ft), and are actually a miniature / dwarf version of the Hybrid Tee or floribunda shrub roses found in many gardens. As with all types of roses, pruning ensures that plants grow and flower well each year, miniature roses are no different. Like their larger cousins pruning is done by shortening back weak growths, removing dead or twiggy growth, and the occasional pruning back of older growth but to a more limited scale. Miniatures / Dwarfs can be pruned during late winter / early spring when the new growth first appears. For plants being grown outdoors timing in mild winters can sometimes be rather difficult if buds break early. If this occurs, prune as soon as possible, leave some dormant buds in reserve for any that might get damaged by frost. Do not cut back newly planted dwarf roses too severely. As with all roses deadhead the plants as flowers die back.